Yes there are black people in South America, you may not see them on main stream media or hear too much about them unless they are famous musicians or soccer players, but they do exist. You may have noticed some of the soccer teams from this part of the world having a lot of black players and if you are like me at one point when I knew no better, may have thought "wow! 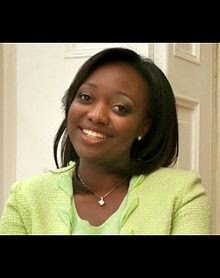 I didn't know Ecuador or Colombia or (insert whatever country in South America) had black people." I will be the first to admit that before I ever stepped into any country in South America, I did not know anything about Afro Latinos or their existence. I knew Brazil had the largest population of black people outside Africa but that was about it. The first country I ever visited in South America was Peru and this was back in 2012 and you should have seen how surprised I was to see black people in Lima. Black people who were actually Peruvians and not just visiting from other countries, needless to say I learned a lot from that trip and started reading more about Afro Latinos. I wanted to know more about their existence in South America, their experiences and their history. I came across so much information online and as much as I would like to share that on this blog, I can't. It's just too much and I can't cover it all; besides, anyone interested can simply go online and find whatever information they are interested in. Isn't technology just awesome? use it to educate yourselves! anyway, I decided to briefly focus on Colombia and Ecuador because those are the two countries where I have spent a lot of time in. When I say briefly, trust me it's brief and it doesn't even scratch the surface. There is just so much more. Colombia has the 3rd largest population of black people outside Africa and in South America it comes in 2nd after Brazil. The official population of black people in Colombia is about 26% but according to some sources I have come across online, the population could be between 35%-40%. You also have to put into consideration that there has been a lot of racial mixtures so some people may not identify as black but they do have black roots. Most of the black population in Colombia is concentrated in: Cali, Buenaventura, Cartagena, San Andres and Choco. When I lived in Cali I felt quite at home since I didn't stand out and easily passed as a local if I kept my mouth shut. There seemed to be such great cultural pride within the Afro Latinos in Cali which was very interesting to see and experience, my only regret is that I didn't visit Choco where I heard you could find communities that still maintained strong African traditions that had been passed on from one generation to the next. One of my friend's from Cali told me that her dream is to open the biggest Afro Latino cultural centre in Cali, she is now studying in the US through a Fulbright scholarship and I hope she will get to realize her dream in the near future. Note: May is African heritage month in Colombia and in August there is the famous Petronio Alvarez festival which celebrates African heritage through music. Now let's look at some of the high profile Afro Colombians. Mabel Lara - Colombian TV presenter and journalist who has won various awards within the category of best newscaster. Paula Moreno - Colombian engineer and professor who was once the minister of culture. Read more about her accomplishments here. There were many more prominent figures I could have written about but the list was long and overwhelming so I just decided to settle on the three above. According to the last official census conducted in 2014, the black population of Ecuador is about 7% I have come across other sources that put the population at 10%. Most of the black population in the country can be found in the northwestern coastal province of Esmeraldas, Valle del Chota (where most of the black Ecuadorian footballers come from) and Guayaquil. Jaime Hurtado Gonzalez - Was a prominent Ecuadorian politician and activist famous for fighting for the rights of the disfranchised people of color in Ecuador. 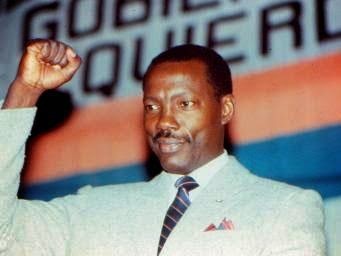 He was the first black man to run for presidency in Ecuador but unfortunately he was assassinated in 1999. 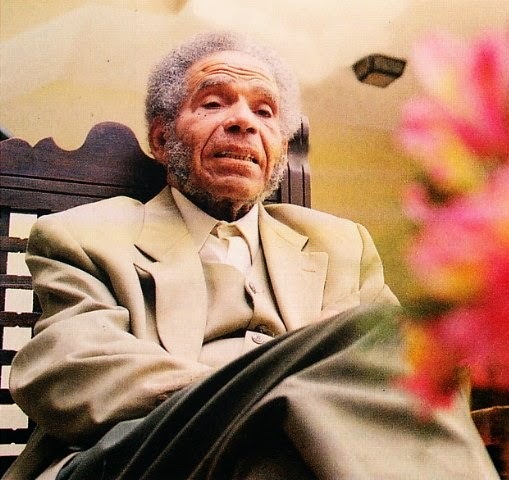 Nelson Estupiñan, Bass - Was one of the most prominent Afro-Ecuadorian writers who was highly recognized for his outstanding work expressing the state of black people in Ecuador. He was also a nominee for the Nobel Prize in literature. He died in 2002 from pneumonia. 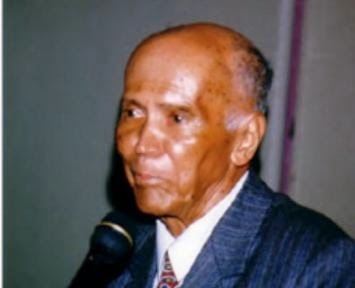 Antonio Preciado Bedoya - Considered one of the best poets in Ecuador. I almost forgot about the photos below of some of the black TV personalities in Ecuador that I had taken. That's it folks, I hope you can appreciate the little bit of information I have written in this post. There were many prominent figures in sports and entertainment that I could have written about but I didn't want to stick to the stereotype of black figures only being associated with sports or entertainment. I am not in any way discounting any people who have excelled in these fields. I wanted to highlight the black figures who have excelled in other fields as well, people you may not have heard off unless you visited their respective countries and even then, who knows if you may have known off them. I love this post! As an Afro-Latina, I thank you for writing it! Thanks for educating your readers, people often forget that slavery touched ALL of America, not just Northern/Central America. Thanks for stopping by and appreciating this post especially as an Afro Latina. It is true what you say, slavery did touch all of America but most people often focus on North America (me included at some point). Traveling through South America truly has been an eye opener for me in so many ways.